Last year I was in New York for a startup investment tour organised by UKTI and VentureOutNY. I was interested to revisit New York and see how the coffee culture has changed. 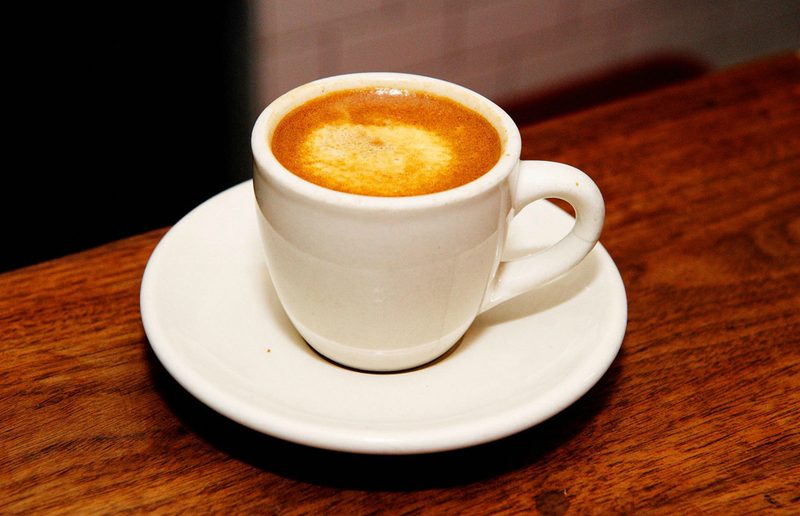 New York is obviously a big city but has it evolved its own coffee culture? And where is the best Flat White in New York? 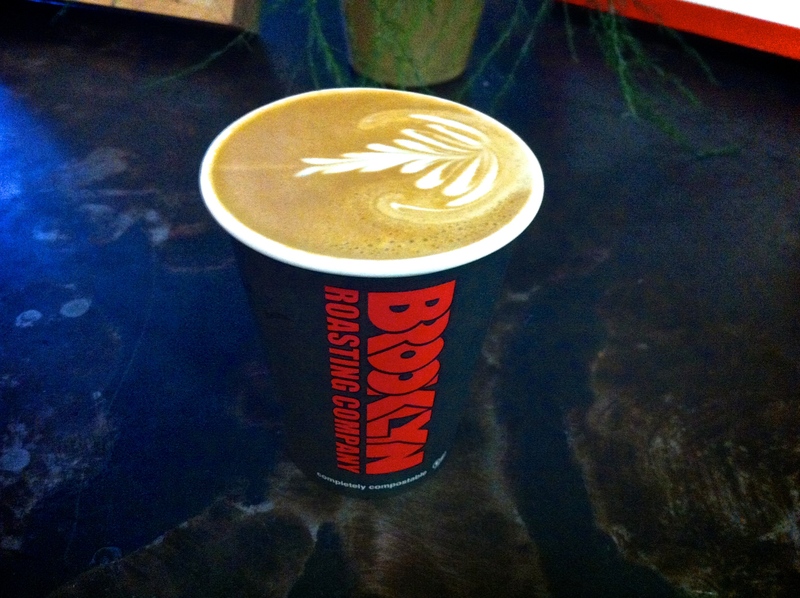 The best flat white I had in New York was from Brooklyn Roasting Company in the creative DUMBO startup district. 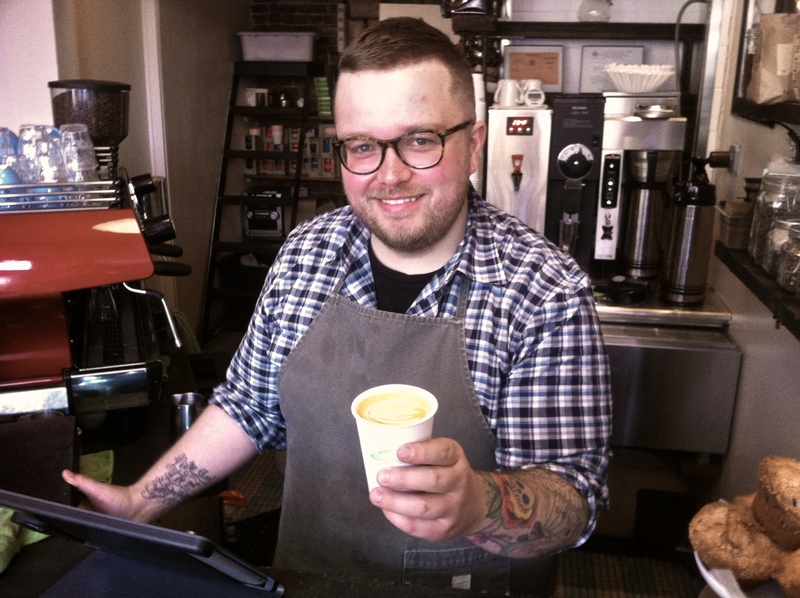 The New York Times has been waking up to the growth in small independent cafes. I noticed lots of interesting things in the course of my week exploring the cafes of New York. New York coffee is as good as you can get anywhere else in the world, but they still have a lot to learn. In many cities in the world, the best cafes are clustered together around a certain neighbourhood. 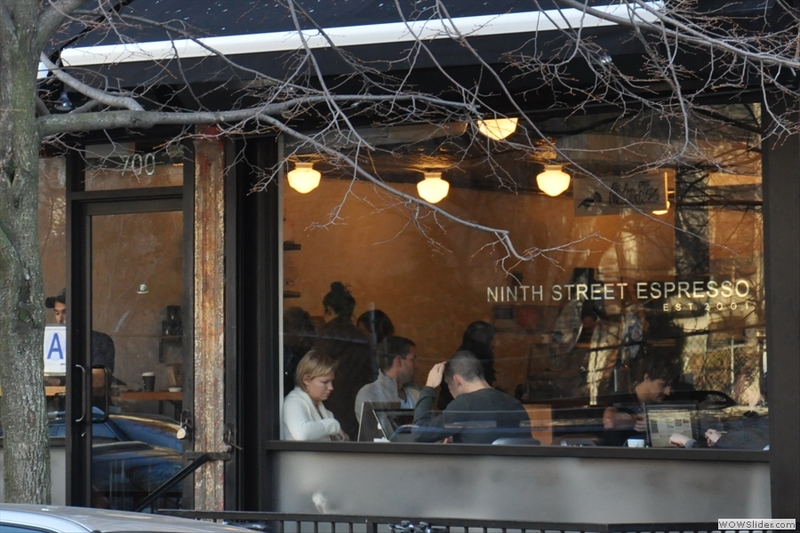 In New York the best cafes are spread across different neighbourhoods. The geographical spread makes it more fun to explore New York by hunting out the best cafes. Much like London, New York is great for coffee orienteering. 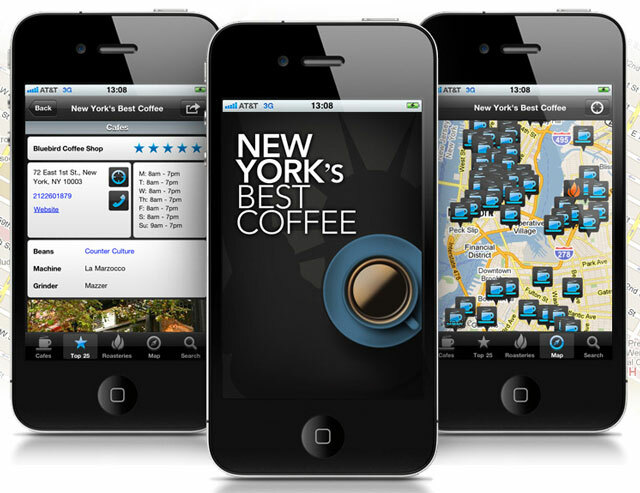 I used the New York’s Best Coffee iPhone application to navigate the city. One of the reasons that the cafes in New York are so spread out is that they are serving such different cultures and groups of people. In many cities in the world high-quality coffee is associated with hipsters and young or creative people. In New York, lots of different demographics including bankers, yummy mummies, hipsters, designers, students and tourists all enjoy high quality coffee. The price of real estate is also extremely important to how the New York cafes have evolved. In some cities like London, property developers and owners are starting to appreciate the influence of an independent cafe on the local neighbourhood. Therefore, some developers are providing discounted rent to high quality cafes in London. My sense is that in New York this increased property value caused by good coffee not yet been a factor so the New York cafes are paying full market rents and therefore renting much smaller shops in more obscure locations. Most of the New York cafes that I visited were takeaway only or provided only a very small area for seating. This feels normal for New York as, culturally, most New Yorkers are drinking the coffee on the way to or from work. The New Zealand style of sit down cafe for a lingering brunch still exists in New York, but New Yorkers would associate brunch with a full meal instead of with a coffee and a muffin. In many cities, hipster grade coffee is associated with particular groups of people and particular lifestyles. In New York everyone drinks coffee. I noticed many people ordering coffee from independent artisanal cafes that you would not expect to see in an independent cafe anywhere else in the world. For example, I waited behind a fire truck load of firemen in one small cafe on a Tuesday morning. Some of this is driven by the American attitude towards service, where anyone that walks in is a good customer. Overall, I found the New York independent cafe scene less cliquey than Berlin, Paris, London, Melbourne and Auckland. The broader customer demographic does not mean that there is a broader appreciation of high-quality coffee. On the contrary, I found that the clientele of the high-quality cafes did not necessarily appreciate the product they were being served and might have been just as happy with Starbucks. The average American coffee consumer has been exposed for years to Starbucks and Dunkin’ Donuts. It is only those who have travelled to Australia, New Zealand or the UK who have experienced modern, high quality coffee. The baristas in the independent cafes are doing their best to provide high quality coffee, but it is hard to keep the quality high when customers don’t appreciate the product. There are an increasing number of discerning customers and I still found some excellent coffee in New York. Bluebird Cafe was casual and friendly. It was next to our AirBnB so it was my local in NYC. Overall, the cafe scene in New York is vibrant and fast growing. The cafes are widely spread out so you have to travel to get to a good coffee, but then maybe that makes you appreciate it more. Once you find a good coffee, there is nowhere to sit and drink it because the cafes are all too small, but then maybe that makes you get out and explore New York. Even if you find an independent cafe there is no guarantee that the coffee will be high quality, but then maybe that’s part of the New York adventure.